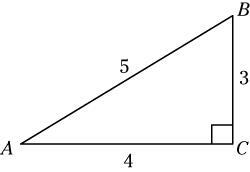 Most SAT trigonometry questions are based on trigonometric ratios, which are the relationships between the angles and sides of a right triangle in terms of one of its acute (less than 90 degrees) angles. 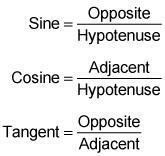 You can answer almost every SAT trig question by using the mnemonic device for the three basic trigonometric ratios: SOH CAH TOA. 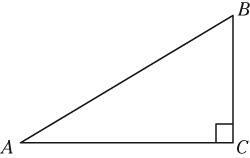 what is the sine of angle A? 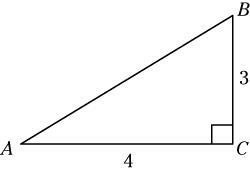 D. Using the SOH in SOH CAH TOA, you know that the sine of angle A comes from the opposite (1) over the hypotenuse (2), for an answer of 1/2.